Middlesex University is a thriving London based university. The 'Make Your Mark' sub-brand aims to educate, inform and entertain young adults of the advantages of higher and further education, and the job and career opportunities that exist after education. 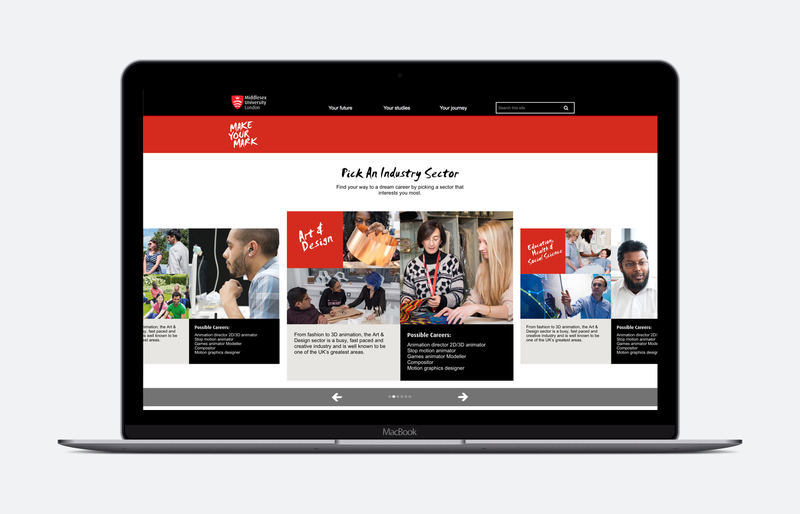 The new Make Your Mark Pathways micro site aimed to visualise the numerous paths individuals can take in order to reach a career or job sector of their interest.